Open at 10 am on ALL School Vacation Days! We offer our customers the use of some of the finest pitching machines available. Through arm-style pitching, our machines allow players to perfect their timing as they can see the pitch release point. Our machines can throw both Baseball and Slow-pitch Softball. 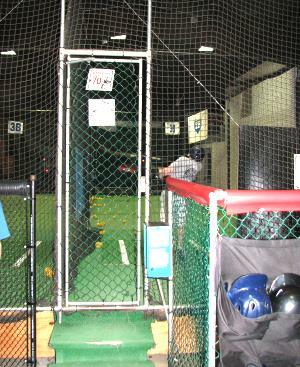 The baseballs can be thrown at any speed up to 85 mph to accommodate all ages and skill levels. 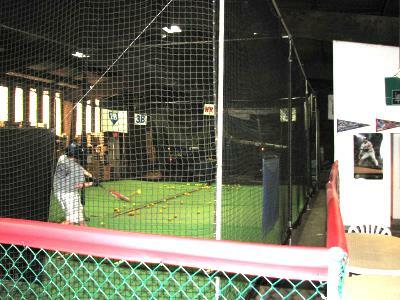 The Batter's Box currently has two full-size cages, and a Training Cage for Instruction drills. We are an indoor facility, so we can offer our facilities year round, rain or shine. We know the importance of consistent practice in order to maintain and improve a player's hitting ability; therefore our facility offers your players a chance to practice twelve months a year. 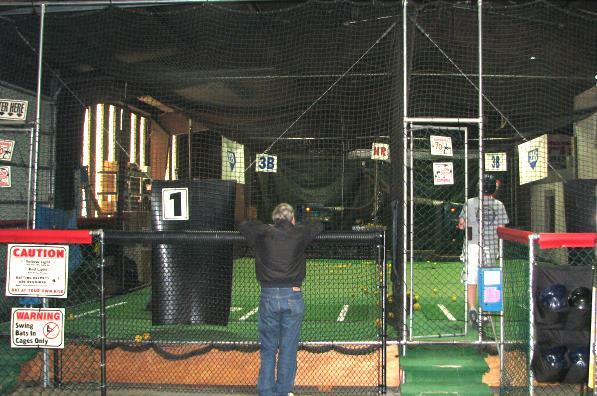 To assist local schools and organizations, the Batter's Box offers team rates for cage rentals. During these sessions, you will have the cage to yourself, and these rentals are scheduled either before or after our regular hours. For these rentals, you may request any pitching speed for the machines.